Josh Bishop stands as the Vice President and Director of Single-Tenant Net-Leased Business for Matthews™. 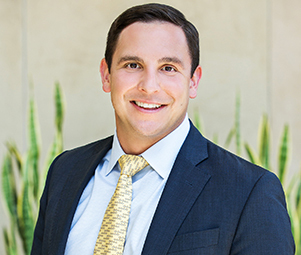 Josh and his team specialize in the disposition and acquisition of single-tenant net-leased properties nationwide and have represented a long list of clients ranging from private investors to high-profile institutions, developers, syndicators, pension fund managers, and private equity companies. Over the past few years, Josh has closed more than 350 transactions and received recognition including “Top Closing Agent”, “Top Listing Agent” and “Pace Setter.” He has established himself as a premier broker who employs hard-work, innovative strategy, and the utmost expertise to improve the investment position of his clients. Prior to his current role at Matthews™, Josh managed transactions and forged ties with some of the nation’s largest institutions, developers, syndicators, pension fund managers, high net worth private clients, lenders, and private equity companies. During this tenure at Colliers International his work ethic was second-to-none and he emerged as a top-producer who lends his knowledge and expertise to improve the investment position of his clients. Prior to this position Josh taught high school mathematics in central New York where he also mentored youth through tutor sessions and preparation courses for the New York State Regents Examination.